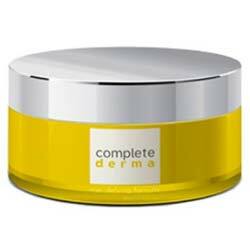 Complete Derma Review: Does it Really Restore the Glow of Your Skin? It is close to impossible for people to reach a genuine love and liking for their skin once it starts to wrinkle, sag and dark spots begin to appear. Complete Derma promises to be the formulation that helps people with aging skin restore their youthful glow and even reverse some of the signs of skin aging that have already started to take over their once flawless skin. Got aging skin issues? Complete Derma claims it can resolve it for you. With its all-natural ingredient line up, this product’s manufacturer claims it will be able to restore moisture in your dry, wrinkled skin with regular, continuous use. Some product affiliates have even highlighted how this product has brought relief to people with special skincare issues and requirements, including eczema and chronic irritation. There is no information available about the manufacturer. Although it has made a bold claim that results will start to become visible within 15 days of product use and, in 28 days, positive results will appear more pronounced. This product is exclusively available online. For those who want to evaluate the product, it is currently being offered for a 14-day trial period that will only cost you US$ 5.95 to cover for shipping and handling fees. The trial commences on the day when the order was placed. If you are unable to ship the product back to the manufacturer, it will charge you US$ 89.31 on your credit card and will automatically enroll you to an auto ship program where you will receive the same product every 30 days thereafter. Your credit card will be billed every time. Full product ingredient list is not available. On websites that highlight this product’s active ingredients, however, it appears that the ingredients being listed are inconsistent. 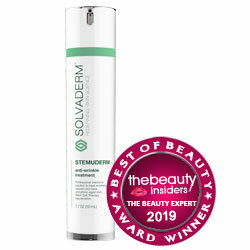 Complete Derma must only be used on mature skin above 30 years old. Use day and night for best results. There is no available information about the product manufacturer. The available information about Complete Derma can be confusing. Seek more information and compare with similar products before you resort to buy and read the Terms and Conditions carefully before signing up for free trial.